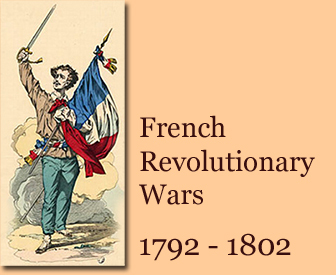 Included are events that took place before the year 1789 and that led up to the French Revolution of 1789. 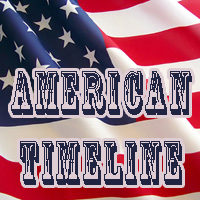 If these timelines are too detailed, check the French Revolution - Key Events, which are a summary of the years 1789-1799. The French Minister of Finances, C.A. Calonne, approaches his King Louis XVI with the request to summon the Assembly of Notables. In order to put something into the country's empty purse, Calonne wants to impose a land tax and implement other financial adjustments. Eventually, Calonne will have to get his reforms registered as new laws by the parlement. But, given the parlement's tendency to oppose reforms, Calonne figures that his reform package will have more success of approval by the parlement once the Notables have agreed. Thus, Calonne wants to speak before an Assembly of Notables with the aim of acquainting His Majesty's subjects with his financial reforms. Calonne wants to avoid giving the opposition time to grow. But King Louis hesitates. Either as per habitude, or he really has a bad feeling about this. 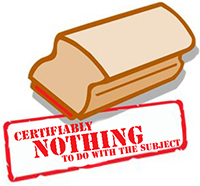 The Notables receive an ordonnance to assemble. Signed, King Louis XVI. :: Who are the Notables? High-ranking men from all across the country, appointed and summoned as deputies by His Majesty in times of a national crisis. This assembly's Notables were princes, dukes, field-marshals, various other nobles, archbishops, magistrates, and then some — all in all 144 delegates. Assemblies of Notables were strictly deliberative. In other words, the Notables were expected to give advice, but could not make any decisions. By the way, the last Assembly of Notables had met on December 2, 1626, back in the days of Richelieu and Louis XIII. This time, the Notables are ordered to meet on January 29, 1787. With a delay, they will commence the assembly on February 22, 1787.
:: What does this have to do with the French Revolution? The French have outgrown their absolute monarchy. Coincidentally, this transformation of an entire society overlaps with a desperate need for major fiscal reforms. The outcome of this assembly will be the first loosened pebble of the avalanche that would become the French Revolution of 1789. The Assemblée des Notables (Assembly of the Notables) commences. It will be in session until May 25, 1787. Controller-general of finances, Charles Calonne, explains to a flabbergasted audience that their country is in the red to a degree that equals bankruptcy. He had been the King's finance minister since 1783 and, in spite of his reforms to this day, the Notables will have to pitch in if actual bankruptcy is desired to be avoided. Calonne's speech at the Assembly of Notables. He is a little bit too cocky, and acts like he already has the go-ahead from the Notables in his pocket. The Notables grow increasingly unenthusiastic during his speech and interrupt frequently with muttering, mumbling, and the crackling of candy wrappers. By the way, if I unwrap a candy very slowly, will it be less noisy? After Calonne's overconfident speech yesterday, the Archbishop of Narbonne, Arthur Richard Dillon, declares that Calonne has deceived the King, France, and Europe by assuming that his entire reform package has been approved of. In fact, he, the Archbishop of Narbonne, for one is against it. Other members of the assembly agree. Other than that, the Notables would like to have a better look at the King's accounts, including cash receipts. Deadlock at the Assembly of Notables. This pamphlet was drafted by the lawyer Gerbier and designed to promote Calonne's answers to the objections of the Notables. It simultaneously attacks the stance of the Notables but asks to give them a break because they have already agreed to fix the problem (100% not true.) Calonne sends this memorandum to all parishes in the kingdom. Many people will hear it read to them from the pulpit. This entire promotional scheme will utterly backfire because the public doesn't trust Calonne and, on top of that, the Notables will feel betrayed. In fact, this step seals the definitive rupture between Calonne and the Notables. Here you can read the entire Collection des Mémoires including Avertissement (French). King Louis XVI dismisses his finance minister Calonne, whose entire performance — previous work record and present propositions — is evaluated as completely dissatisfactory by the Notables. Loménie de Brienne will become his successor on May 1, 1787. Also on April 8, 1787: Armand Thomas Hue de Miromesnil, the King's Keeper of the Seals (garde des sceaux) gets the boot as well. His successor will be Chrétien François de Lamoignon. King Louis XVI's speech before the Assembly. He concedes to nearly all objections of the Notables, even agrees to let them have a peak into his accounts. But he still wants the land tax. The new finance minister is one of the Notables — Étienne-Charles de Loménie de Brienne, Archbishop of Toulouse. What will his strategy be? Abolish privileges and impose a land tax. Louis fired Calonne, but not his reforms. Lomenie de Brienne redirects the attention of the Notables to the disaster at hand, the current debt. He would like to implement the edited land tax. The Notables ( Lafayette) ask for the Estates General. Go here for today's minutes. The Notables declare that they will not accept the land tax. Lafayette's proposal in favor of giving the Protestants a civil status is accepted by the Assembly. It will now be brought before the King, who will ponder it and finally, in November 1787, will decide it should be law (Edict of Toleration). 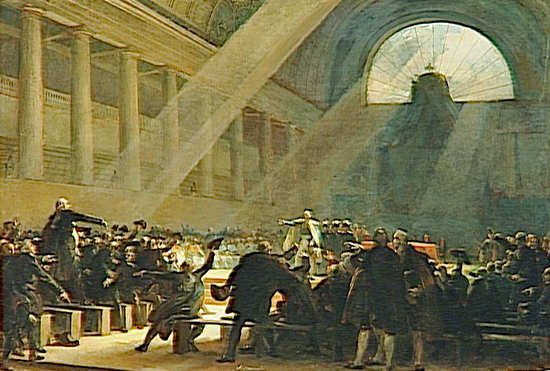 Loménie de Brienne dissolves the Assemblée des Notables (Assembly of the Notables). This assembly had begun on February 22, 1787.
:: What is the outcome of this assembly? By refusing to cooperate and saying No to the king, the Notables have just triggered the Aristocratic Revolt (1787-1789), or Révolte Nobiliaire. This revolt will blossom in 1788 and eventually make way for the real hammer in 1789. It is interesting to observe that, ironically, while the French Revolution of 1789 is generally considered to have been the uprising of the lower class, it had been sparked by the upper class. And the perceptive historian enjoys a déjà-vu. No taxation without representation. No say in the decision making, no tax paying. Vive la révolution américaine. The King's reaction to the negative response from his Notables? Loménie de Brienne will go over the proposed reforms, edit them, but not much, and re-submit them for registration with the parlement. We will implement our reforms regardless. After all, this is an absolute monarchy. The Paris parlement examines the long royal declaration regarding a new stamp tax (timbre). It takes Tandeau two hours just to read the entire thing to the audience. After a long debate parliament decides to say yes to the new tax IF the King provides statements that would clarify expenses. Abbot Lecoigneux de Belâbre and Pasquier de Coulans argue that they are always expected to try and adjust the income to match expenses. But has anyone ever tried to reduce expenses in order to match the income? The Comte d'Artois (King Louis XVI's younger brother) says right away that that is out of the question. Parlement can not and must not demand the present state of affairs of earnings and expenses. D'Outremont de Minière says the Comte d'Artois makes a good point, and gets booed. After two hours of reading and four hours of debate it is decided by 80 votes to 3 to assign a group of commissioners with the task of reviewing the declaration and composing a request to have a look at the current state of affairs of debt, reforms, and improvements. Only three votes are in favor of a registration of the royal declaration. The parlement's commissioners have completed their task and report back. After the commissioners' report has been read, the parlement says that it cannot be convinced of the necessity for a tax after five years of peace, without first verifying the deficit. At the Paris parlement, the King's answer is read. His Majesty reminds the parlement that he already had put forward his state of finances "to the eyes of the Notables, among whom were several magistrates of parlement" and that it won't be possible to provide more specific numbers before the end of the year. The parlement votes to renew the demand for a report on the state of finances and again assigns commissioners to draft a request. The commissioners have drafted the request to the King. In it, the parlement asks the King to disclose his accounts because "the need for the new tax has not been demonstrated, its duration is uncertain, and its revenue is unknown." It is evident that there is a deficit in the finances of my kingdom that can't be met by lowering or cutting expenses. New taxes are still necessary to not having to take loans beyond those announced. Any delay in registration of new taxes will be detrimental to the trust and confidence, and would only increase the difficulties. The parlement discusses the royal response and votes to assign the commissioners once more with a "very humble and very respectful representation." Particularly, the hope was expressed "to see the Nation assembled before any new tax." The commissioners, headed by D'Aligre, get to work. In the evening, the parlement's delegation, headed by D'Aligre, is at Versailles. The King still insist on a registration of the stamp tax but doesn't exclude the possibility of limiting its duration, or setting a revenue ceiling which, once it has been reached, its surplus could reduce other taxes like the gabelle or the tailles. Also, he announces to install a land tax (subvention territoriale). However, the King threatens that if the parlement refuses the registration, he will proceed alone. But before the delegation leaves, d'Aligre has an interview with the King and convinces him of the disadvantages of such an insistent response. The King then sends the delegation back, exchanging his last threat with the message that its only necessity is the call for a provision of taxes. At 3 AM, the king's reply from July 29, 1787, reaches the Palais de Justice. D'Aligre reads the King's response before the parlement and they consider their response. With a 70 to 48 vote, the parlement decides against the registration of the royal declaration, and for an assembly of the Estates General. The Nation, represented by the Estates General, alone is authorized to grant to the King the relief that is necessary. Thus, the parlement of Paris refuses to register the new reforms and, just as the Notables did, calls for the Estates General. "I will let you know my intentions." A forced registration is very likely. In the afternoon, the summons to a lit de justice reaches the Palais de Justice. The Court ponders and drafts a complaint in less than two hours. It will be read tomorrow at the lit de justice. Lit de justice at Versailles. The King registers by force the new laws on stamp tax and subvention territoriale (land tax) which replaces the vingtième. Interestingly, the text on the stamp tax has been altered and the registered declaration differs significantly from the text the judges had considered. It is also dated August 4, 1787. The preamble seems to respond to questions raised on July 24, 1787: It provides for a cap at 20 million livres, the surplus being allocated to the reduction of other taxes. Article 1 establishes the duration of the tax. It will be in effect until January 1, 1798. These amendments were definitely thrown in to sweeten the procedure for the judges and to keep the opposition as little as possible. The parlement complaints that "the constitutional principle of the French monarchy is that the taxes are agreed by those who have to pay them" and asks again for a convocation of the Estates General. The parlement passes an order of illegality, by which it officially protests against yesterday's lit de justice, calls it a violence of the law and nullifies the edicts. The Paris parlement officially denounces Calonne, who in turn gets his hide out of the country with the quickness. During a very animated 8-hour-session, the parlement persists and refuses to allow a collection of taxes that is "contrary to all principles." This is the rupture. In the evening, a ministerial committee and the royal advisory council meet. They will meet again tomorrow morning. Ministerial committee and the advisory council meet again. 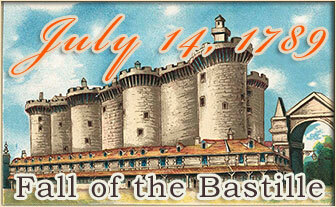 It is decided to transfer the Parlement of Paris to Troyes. The King responds to the parlement's refusal to register His Majesty's edicts and exiles the magistrates of the Paris parlement to Troyes, two car hours southeast of Paris. The members of the Paris parlement arrive at Troyes. The parlement at Grenoble also denounces Calonne, accusing him to have squandered 3 billion livres in less than four years. The exiled parlement at Troyes persists and confirms its orders from August 7 and 13, and again calls for the Estates General. In the evening, the King makes Loménie de Brienne his prime minister (principal ministre). The ministers of war and marine resign. Philippe Henri, Marquis de Ségur had been Secretary of War (Secrétaire d'État à la Guerre) since December 23, 1780. On September 24, 1787, his successor will be Louis-Marie-Athanase de Loménie, Comte de Brienne, brother of the Minister of Finances. Charles Eugène Gabriel de La Croix, Marquis de Castries was Secretary of the Navy (Secrétaire d'État à la Marine). He will be replaced by Armand Marc, Comte de Montmorin Saint-Hérem, and in December by César Henri de La Luzerne. The parlement at Toulouse also passes an order in which Calonne is accused of misusing the State's money. Loménie de Brienne motivates the royal Council to pass an order by which the orders of the parlement are declared void. The royal ministry makes a deal with the parlements: The land tax and stamp duty will be repealed. In turn, the vingtieme tax will be imposed for the next five years. Then, at the end of these five years, in 1792, the Estates-General will be assembled. The parlements are recalled. Last meeting of the exiled parlement at Troyes. The exiled members will return to Paris tomorrow. Paris will be celebrating for a week with bonfires and mild turmoil. New Defense Minister is Louis-Marie-Athanase de Loménie, Comte de Brienne, brother of the Finance Minister. Thanks to Prussian support, William V of Orange has the Dutch Crisis under control for the moment. The Dutch Patriots are miffed because they were counting on French help, which never materialized. Now, many patriots (patriotten) will emigrate to France. King Louis XVI signs the Edict of Toleration, granting Protestants civil status. This edict will be registered by parlement on January 29, 1788. Royal session with, or rather at, the parlement at Paris. Louis declares that he will not allow the basic principles of a monarchy to be disregarded or altered. After that quick reminder, the King lets his garde des sceaux (Keeper of the Seals) Chrétien François de Lamoignon, mark His Majesty's territory by reflecting on the fact that Louis is accountable to no one but God. These principles, universally acknowledged by the entire kingdom, are that the King alone must possess the sovereign power in his kingdom. That He is answerable only to God in the exercise of his power, that the tie which binds the King to the Nation is by nature indissoluble, that the interests and reciprocal obligations between the King and his subjects serve only to reassure that union, that the Nation's interest is that the powers of its head not be altered, that the King is the chief sovereign of the Nation and everything he does is with her interests in mind, and that finally the legislative power resides in the person of the King independent of and unshared with all other powers. These, sirs, are the invariable powers of the French Monarchy. As a consequence of these principles and of our history, it is clear that only the King has the right to convoke an Estates-General, that he alone must judge if this convocation is necessary, and that he needs no other power for the administration of his kingdom. Source: Modern History Sourcebook (Fordham) and Roy Rosenzweig Center, who in turn draws from Discours de M. de Lamoignon, Garde des Sceaux de France à la Séance du Roi au Parlement le 19 novembre 1787 (Bibliothèque nationale de France: [Microfiche LB39-467]). After this speech, the King orders his edicts, providing for a loan of 420 million livres, to be registered. The Duke d'Orléans (Louis' cousin) protests that this registration is illegal, others join him. The King insists. The parlement decrees to refuse the registration of the King's orders. For challenging the King's authority, the King bans the following members from future sittings of the parlement: the Duke d'Orléans, d'Éprémesnil, Robert, de Saint-Vincent, Sabatier, and Fréteau. The parlement is ordered to Versailles, where the King declares the parlement's refusal from November 19, 1787, void. He announces the summoning of the Estates General for 1791, at the latest. By popular demand, the King revokes his orders regarding the ban of certain men from sessions of parlement. The parlement registers the King's edict from November 1787 regarding Protestants. The official objection of the parlement to the Royal Session of November 19, 1787, had been long postponed. But here it is. The parlement formally objects, claiming that the authority of the parlement had not been respected. "A la vérité, le moyen n'en est plus dans les mains de votre parlement, mais il reste aux prêteurs une ressource dans l'assemblée des États généraux." "In truth, it is no longer in the power of your parliament. But for loan creditors exists the option of an assembly of the Estates General." The King answers that everything was completely legal on November 19, 1787. 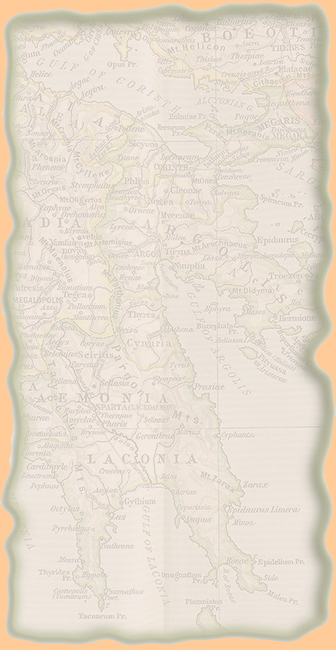 Parlement's objection regarding the royal edict on the second vingtieme. This objection was prepared by Goislard de Montsabert. The Paris parlement adopts a motion, prepared by Duval d'Epremesnil, in which they declare it their duty "to oppose firmly ... all plans that could jeopardize the rights and obligations of the Nation." They further establish that it is "the right of the Courts to verify in every province the King's will and to refuse the registration except if they are consistent with constitutive laws of the province and the fundamental laws of the State." The Paris parlement sends a copy of this resolution to all parlements in the kingdom. At the courthouse in Paris: The parlement orders the burning of a pamphlet entitled "The Parliament's Decree of May 3, 1788," which contained fabrications to the King's disadvantage and "accuses the Court of sentiments and expressions inconsistent with the deepest respect for the sacred person of the King." After this decree, Duval d'Epremesnil and Goislard de Montsabert get the podium and relate details of their attempted arrest that took place last night at their homes. The parlement sends a delegation to Versailles "to the effect of representing to the King the misfortunes that threaten the nation", in other words to inquire what's going on. The parlement stays assembled in the Palace the Justice at Paris until the delegation returns. At a quarter past midnight, 900 guards, bayonets at the ready and led by Capitaine d'Agon, enter the Palace de Justice at Paris. Everyone in the building is declared prisoner for the night. D'Agon presents an order of arrest for Anne Louis Marie François Goislard (Goeslard), Comte de Montsabert (Monsabert) and Jean-Jacques Duval d'Éprémesnil, members of the parlement of Paris and leaders of the parliamentary opposition to Loménie de Brienne's reforms. D'Agon asks the assembled to point these two individuals out to him. The court enjoys an always delightful Life of Brian moment, "We all are Goislard and Duval, you will have to arrest us all." Standoff at the courthouse. D'Agon withdraws to consult with his superiors. The parlement's delegation that went to Versailles was put on eternal hold there, in effect was refused to see anyone. Finally, Duval and Goislard identify themselves and d'Agon takes them into custody. All members of the parlement are summoned to Versailles for May 8, 1788. The parlement gathers to discuss the lettre de cachet that summons them to be at Versailles tomorrow. They prepare a list of grievances to present to the King. The May Edicts: Lit de justice, or royal session, at Versailles. The King enforces the registration of the edict that was prepared by his Keeper of the Seals, Lamoignon. It establishes a cour plénière, a plenary court, that would henceforth register royal edicts. As for the parlements' other tasks, Lamoignon came up with the idea of having 47 bailiwicks take over these duties. The power of the parlement has been cut. Members of the parlement are ordered to stay at Versailles to sit at the plenary court session tomorrow. The parlement sends a memo to Louis that they will attend the session of the new plenary court out of respect, but they can't accept the new functions allocated to them by the King in His new edicts, and therefore it is asked to allow them to have no part in it. Signed, parlement, unanimously. First session of the plenary court. The members of the parlement put another objection on record, "We cannot abstain from the ancient and lawful formation of parliament." From this day on, all parlements are suspended, all members of parlement are on permanent vacation, and the courthouse at Paris is closed and guarded by military. The Paris parlement is the only parlement in the country that obeys the royal order not to assembly hereafter. Other parlements roll up their sleeves and accept the challenge. In particular, the parlements at Rennes in Brittany (Bretagne) and Grenoble in Dauphiny (Dauphiné) will become centers of deep rooted opposition. Lit de justice at the parlement at Rennes. The King sent the Comte de Thiard to clarify some points. The King sends lettres de cachet and his troops to arrest 12 judges at Rennes. At Grenoble, big protests against the dismissal of the Grenoble parlement. The protesters demand an assembly of all three orders. The King will send in the troops. In France, the 1788 harvest is a disaster. A long drought and wicked hail storms did great damage. At the Château de Vizille, just outside Grenoble, the three estates gather illegally. Gathered were 165 nobles, 50 members of the clergy, and 325 deputies of the Third Estate. They demand to recall the parlements and to summon an assembly of the Estates-General, in which the number of deputies of the Third Estate would match the combined number of the deputies of the other two orders. Louis revokes his edict from May 8, 1788, that had established the plenary court (cour plénière) and summons the Estates-General to assemble on May 1, 1789. All payments on government loans are suspended. Brienne resigns as finance minister. Tomorrow, Necker will sit in his chair. Jacques Necker, former head of treasury and finances from 1776 to 1781, is recalled to duty to replace Loménie de Brienne. The parlement of Paris passes an order that decrees that the Estates-General should assemble the way it had been assembled in 1614, i.e. each order has one third of representatives, giving the majority to the privileged orders (clergy and nobility). Louis will void this order on December 27, 1788. The Assemblée des Notables (Assembly of the Notables) gets together once more. On the agenda is the question of how to assemble the Estates-General and whether to double the number of deputies for the Third Estate. The Notables are against it. This assembly will be held until December 12, 1788. The new Defense Minister is Pierre-Louis de Chastenet, Comte de Puységur. He succeeds Louis-Marie-Athanase de Loménie, Comte de Brienne. The Assemblée des Notables (Assembly of the Notables) ends. It had begun on November 6, 1788. The notables refuse to double the deputies of the Third Estate. Encouraged by Necker, Louis XVI doubles the number of deputies for the Third Estate, thus overruling the Paris parlement's decision from September 23, 1788. Emmanuel-Joseph Sieyès' pamphlet Qu’est-ce que le tiers état? (What Is the Third Estate?) is published. Within the next two months, 30 000 copies will be sold and many an eye will be opened. Read the pamphlet: in English / in French. Following up on his decision from August 8, 1788, to assemble the Etats Généraux, King Louis XVI issues a decree that provides the regulations for the election of the deputies to the Estates General and the drafting of the Cahiers de Doléances. Elections for the Estates General and writing of the cahiers begin. This will take until April 1789. Réveillon Riots, also called the Réveillon Affair, named after J.-B. Réveillon, owner of a wallpaper factory located at Rue de Montreuil, in the faubourg Saint-Antoine at Paris. The economic crisis of 1788 / 1789 took its toll when, after rumors circulated that Réveillon was going to lower wages, Réveillon's workers looted and burned down his factory and his home (April 28). Other workers in the district joined the riot, the army had to step in and the entire affair caused 300 victims. The next riot in the faubourg St Antoine will have a little bit more zing. On the balcony of Federal Hall on Wall Street in New York, George Washington takes his oath of office as the first President of the United States. The Estates-General (États généraux) opens session at Versailles. Not at the royal Palace, but at the Hotel des Menus-Plaisirs on the avenue de Paris. It is the same venue in which the Assemblies of Notables in 1787 and 1788 were hosted. In this building, the nobility and the clergy each had their own meeting hall. Meetings that included all deputies were held in the main hall, which also served as the meeting hall for separate meetings of the Third Estate. In the attendance are 291 deputies representing the clergy, 270 deputies representing the nobles, and 578 deputies of the Third Estate. They soon discover major discord regarding their voting system. Should votes count per estate or per head? Clergy and nobles want the vote per estate, the commons (Third Estate) want the vote per head. Furthermore, around 21 million of the 26 million people living in 1789 France, are peasant farmers. But not one peasant farmer has a seat in the assembly of the Estates-General. The Third Estate is represented by lawyers, businessmen, bankers, and doctors ( Dr. Guillotin was one of them). The representation at the Estates-General is askew and calls for a constitutional revision. Clergy and nobility, however, would rather like to keep their privileges. Louis-Joseph, the second child of King Louis XVI and heir to the throne (dauphin), dies today. Wee Louis-Joseph was 7 years old. The hot issue of how voting powers should be distributed needs to be settled. In order to do so, the Third Estate calls on nobles and clergy to get together once more. A no-show would not hinder proceedings. Proclamation of the National Assembly (Assemblée Nationale), created by the Third Estate. Unofficially, the French Revolution has just begun. Here is the Proclamation of the National Assembly. In response to this proclamation, the king closes the doors of the meeting hall at the Hotel des Menus-Plaisirs, Avenue de Paris, Versailles. 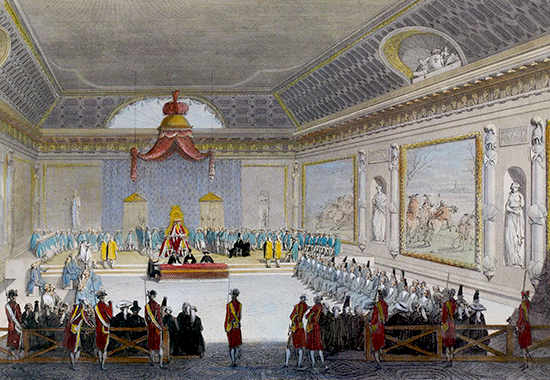 The official reason is that the hall needs to be prepared for the scheduled royal session on June 22, 1789. The members of the National Assembly, now without a meeting hall, gather in Louis' indoor tennis court. They declare their goal to switch from absolute monarchy to constitutional monarchy. Hence, a written constitution is needed. With only one vote (Martin Dauch) against it, the Assembly takes an oath not to separate before they have given France a constitution. This is the Tennis Court Oath, or in French Serment du Jeu de Paume. Serment is French for oath, by the way, and Jeu de Paume is Game of the Palm, an early form of tennis that saved players a truckload of money on rackets and strings. It took another 88 years until, in 1877, Spencer Gore won the first official lawn tennis championship at Wimbledon. A ticket went for one shilling. Two hundred people came to see the finals and were delighted. Today, in Castelnaudary (7 car hours south of Paris), Martin Dauch's birthplace, they have an avenue named after him. You gotta appreciate the French. Anyway, back to June 20, 1789. Here is the snapshot of the day. Their meeting hall is still closed for maintenance, and the indoor tennis court got awfully stuffy. Therefore, the Assembly decides to meet today at the Saint-Louis Church, Versailles. Here are the original minutes of the meetings on June 20 and June 22, 1789. At the end of the session, the king orders the deputies to disperse immediately, and to come back tomorrow to resume their sessions separately by order (clergy, nobility, third estate) in their respective meeting halls. The king leaves and the nobles and some members of the clergy follow his example, while some other members of the clergy and the deputies of the Third Estate remain quietly seated in the main meeting hall, which was incidentally the separate meeting hall of the Third Estate as well. The 23 year-old royal Master of Ceremonies, Henri Évrard, marquis de Dreux-Brézé, while wearing a fabulous outfit, matching shoes, and a lovely feather in his hat, asks the deputies if they didn't hear the King's orders. The president of the Third Estate, the respected astronomer Jean-Sylvain Bailly, responds that he would take his orders from the Assembly. At this point Honoré-Gabriel Riqueti, comte de Mirabeau, a seasoned defender of constitutional monarchy and ex-prisoner, loses his calm. He jumps up from his chair and, utterly infuriated, thunders back at Dreux-Brézé that they had understood very well, and that he (Dreux-Brézé) who does have neither a place in the Estates-General, nor the right to speak there, would be certainly not the man who should remind them of the King's utterances. They were here by the will of the people, and, just to be clear, if he (Dreux-Brézé) hypothetically were in charge of ushering them out, he'd better grow a pair, because they weren't going anywhere except at gunpoint ("the power of the bayonets"). The Assembly shouted agreement and Dreux-Brézé left, leaving behind a gloomy silence in the room, and a reason to paint for many artists to come. Among the painters who captured this powerful moment were Joseph D. Court, Eugene Delacroix, and Alexandre Fragonard (see below). The National Assembly receives news that some of the nobles will join them tomorrow. Today, 48 liberal nobles join the Third Estate in the National Assembly. Among them is the Duc d'Orleans. Louis XVI orders the clergy and the nobility to join the Third Estate in the National Assembly. The three Estates are now united. A mob frees imprisoned French Guards from the Abbaye prison, Paris. These guards had been arrested at various dates throughout the last months for siding with the citizens against their superiors. The Estates-General confirm the creation of the National Assembly (Assemblée Nationale), that had been proclaimed on June 17, 1789. To reflect its main purpose, which is to give a constitution to the monarchy, the National Assembly is renamed National Constituent Assembly (Assemblée nationale constituante). It will exist until September 30, 1791. Director general of finance, Jacques Necker, is dismissed. Lafayette presents a draft of the Declaration of the Rights of Man and of the Citizen. New Defense Minister is Victor-Francois, Duc de Broglie. He succeeds Pierre-Louis de Chastenet, Comte de Puységur. Lafayette becomes vice-president of the National Constituent Assembly. Paris is out of control. A citizens' militia (sporting the traditional colors of Paris - blue and red) and a permanent committee is formed, aka a provisional government of Paris. Jacques de Flesselles (former intendant at Moulins, then Bretagne, then Lyon, and finally provost of Paris) becomes the head of the city's provisional government. However, the mob demands that all available arms and ammunition be handed over with the quickness. Distributing guns to an uncontrollable crowd makes Flesselles uncomfortable. The mob decides that Flesselles is in it only half-heartedly. They will lynch him tomorrow. The Hotel des Invalides is plundered for arms and ammunition. The logical next stop on the mob's tour in search of more weapons and symbols of oppression that should be attacked, is the Bastille. Storming of the Bastille. The Revolution officially begins. Jacques de Flesselles (prévôt des marchands) is killed. Tomorrow, Bailly will become mayor of Paris. Lafayette is made commander of the National Guard. Jean-Sylvain Bailly becomes the first mayor of Paris. Former director general of finance, Jacques Necker, is reinstalled. Many aristocrats flee the country, among them King Louis XVI's brother Charles-Philippe, Comte D'Artois (later Charles X), and Louis-Joseph, Prince de Condé. The King visits Paris to inspect the new National Guard. He wears a blue, red, and white ribbon — blue and red being the traditional colors of Paris and the royal white, which was added by Lafayette. 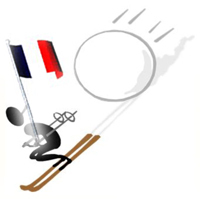 It will take until February 15, 1794, until the tricolore will become the official French flag. The new Defense Minister is Jean-Frederic de La Tour du Pin-Gouvernet. He succeeds Victor-Francois, Duc de Broglie. A night session of the National Constituent Assembly results in the proclamation of the abolition of privileges and the feudal regime. The Revolution reaches Liège (Luik / Lüttich). The nobles, in particular the prince-bishop Cesar Constantin Francis de Hoensbroek, are forced to pack their bags and terminate their rule, but no blood is shed here. Declaration of the Rights of Man and Citizen, a draft of a constitution is adopted by the National Assembly. also called the October Days. Parisians march to Versailles and force the royal family to move from Versailles to Paris. The National Constituent Assembly (Assemblée nationale constituante), now with nearly 1,200 members, moves from Versailles into the Salle du Manège, or Riding Hall, that belongs to the Tuileries Palace in Paris. The Tuileries Palace, by the way, will be destroyed in 1871. Its gardens will survive. The Assembly issues a decree by which Louis XVI will switch from being King of France and Navarre to King of the French. Today was also the day on which Thomas Jefferson, who was pro French Revolution, left France and returned to the U.S. where he will become the Secretary of State. As diplomat and representative of the U.S. Jefferson had been in France since August 6, 1784. In 1785, he became the Minister Plenipotentiary. According to the U.S. Department of State, when asked if he was replacing Benjamin Franklin as the next American Minister to France, Jefferson famously responded, "I merely succeed him, no one could replace him." Jefferson's replacement as Minister to France is Gouverneur Morris, who, interestingly, will be anti French Revolution. Before the National Constituent Assembly (Assemblée nationale constituante), Dr. Guillotin, argues for equality of the death penalty, regardless of the privileges a perp had enjoyed before his sentencing. Beheading for everyone. Here is more. Charles-Philippe, Comte D'Artois asks Emperor Joseph II to intervene in French affairs on his family's behalf. As a result of the October Days, the National Constituent Assembly passed a law for declaring martial law. Battle of Turnhout. The French Revolution has spread to Brabant. Nationalization of church lands: The National Assembly decrees the confiscation of church property. The Jacobin Club is established at rue Saint-Honore. Dr. Guillotin repeats his argument for equality of death penalty before the National National Constituent Assembly (Assemblée nationale constituante). But this time, he also proposes to switch from executioner to machine. New currency, the assignat, introduced. Non-Catholics are now allowed to be elected to all government offices and employed in all workplaces, civil and military. In other words, Protestants are now fully recognized French citizens. Jews, however, will have to wait to get equal rights until September 27, 1791.